Data Asap helps make your database accessible on a website. Data Asap will generate a series of pages your website visitors can use to search for and view information. Password protection ensures that only those authorized are able to access or edit the data. Related database tables can easily be made available as well. An already existing website page can be used as a template, so the generated pages will have the same look as your existing website theme. Custom colors are easily assigned to various key areas where the data is displayed, making for an even more tailored look. 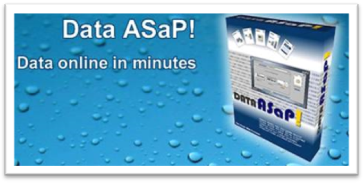 Data Asap can then upload the generated pages to the server that is hosting your website. You can click on the "Help" button from within Data Asap to read related topics in this help file.